Climate change will be responsible for the mass extinction of species. In fact, several reports say that as many as one million species could be wiped out by as early as 2050. Extinction is when a group of organisms or a species ceases to exist. 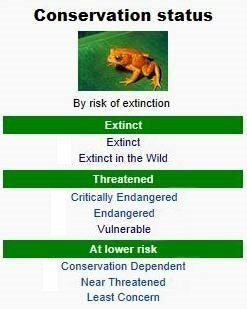 A species is considered to be extinct when the last individual of that species dies. 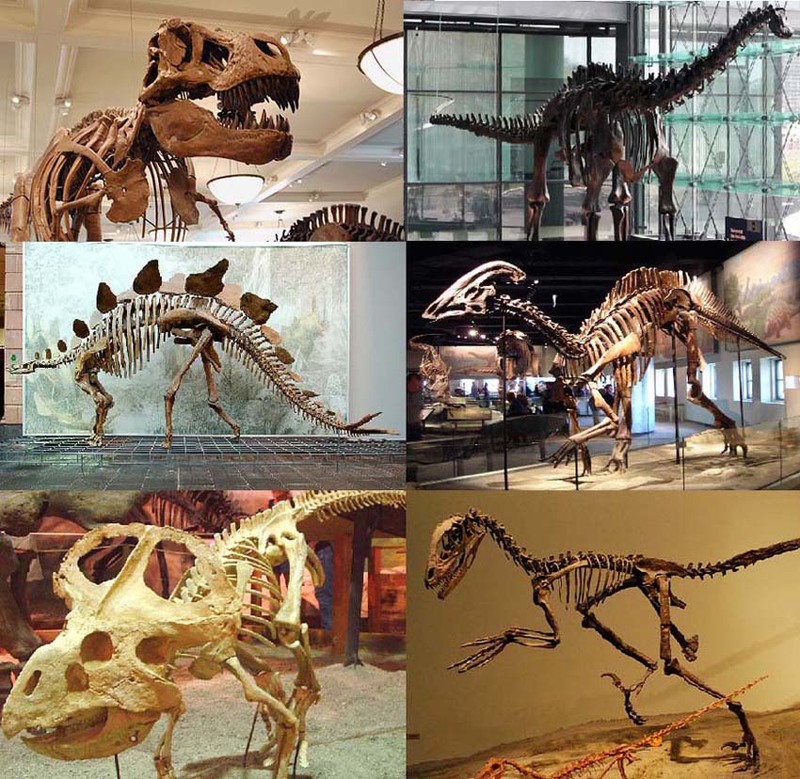 However, as it can be difficult to track all of the members of a single species the exact moment of extinction is usually declared in hindsight. There are many factors that can lead to the extinction of a species. Notably, a species’ survival is tightly linked with the ecosystem that it belongs to. When a certain species’ ecosystem begins to be affected by climate change, whether it is too much rain, too little rain, or severe heat or cold, those changes can inflict heavy damage on a species and their ecological niche. 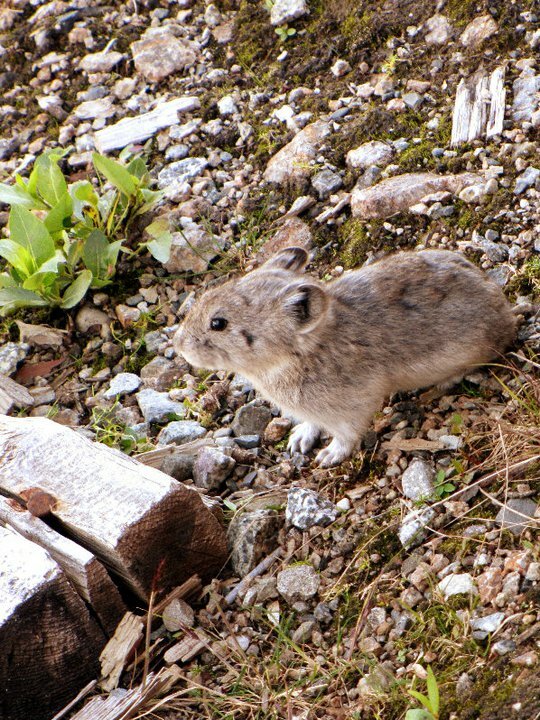 A good example of how climate change can lead to the extinction of species is how global warming has impacted the pika. According to the United States Environmental Protection Agency, abrupt climate change has killed off over one third of the pika population in areas below 7,000 feet. The pikas are small rodents that are related to rabbits and are found in cold mountainous areas. The rising heat has made their usual environment hostile and if they cannot adapt to the rising heat, than the pika may one day be extinct. When an ecosystem is affected by climate change, it can result in the extinction of species. Another reason that climate change is so dangerous to species is that the extinction of one animal, organism, plankton, or flora, can cause a ripple effect that impacts all of the species involved in that food web. 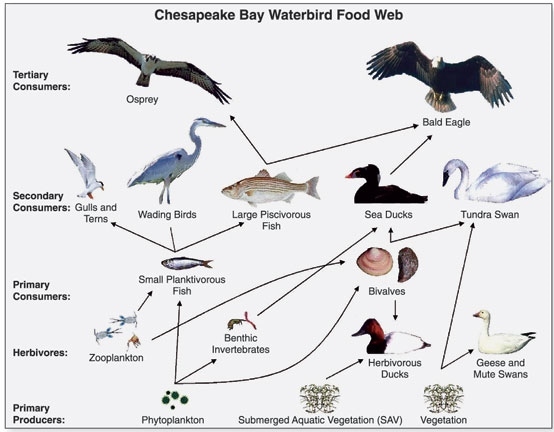 When one species disappears, the entire food web is destabilized. 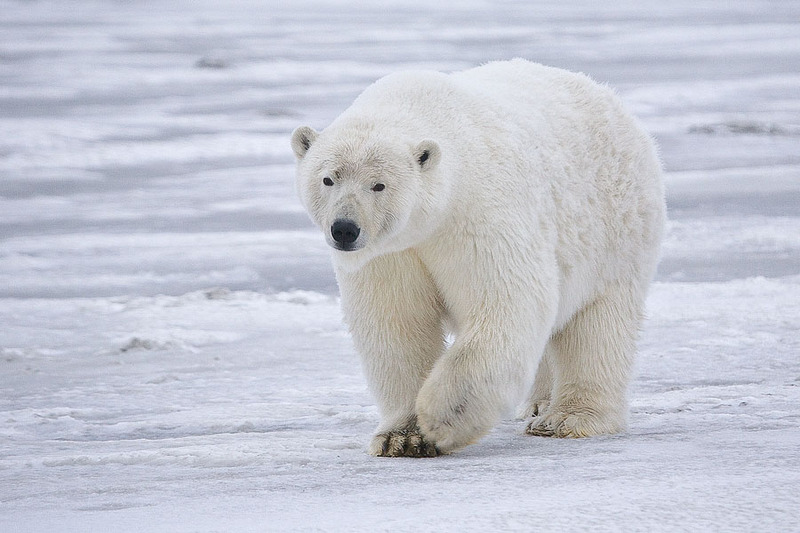 The U.S. Environmental Protection Agency also asserts that the melting of sea ice and ice caps in the Arctic can lead to the extinction of several different mammals as it causes a ripple effect. For example, as the ice melts the amount of ice algae, which lives in the sea ice, will decline. In turn, zooplanktons that eat the algae will decline as their food source is depleted. As the zooplankton decreases the Arctic cod will not have as much to eat since they eat zooplankton. Arctic cod are a major food source for many different marine mammals in the Arctic; seals are one of these mammals. In turn, seals are a major food source for polar bears and with the number of seals becoming lower and lower there is less food for polar bears. This example shows how the decrease or extinction of tiny ice algae can result in the eventual extinction of the polar bear; this is how a food web works and is affected by climate change. Climate change may affect certain areas by causing severe droughts that can permanently damage an ecosystem which can then result in the extinction of species. This is especially the case in the central portion of the United States where severe droughts have been impacting most species including humans. With the lack of rainfall there is less vegetation to support various species. If the change to the ecosystem is drastic enough than it will cause the ecosystem to reach its threshold or tipping point. This is when an ecosystem change happens quickly and is irreversible. An example of a tipping point for an ecosystem is when coral reefs become stressed due to the warmer ocean temperatures and an increasingly acidic ocean (see ocean acidification). 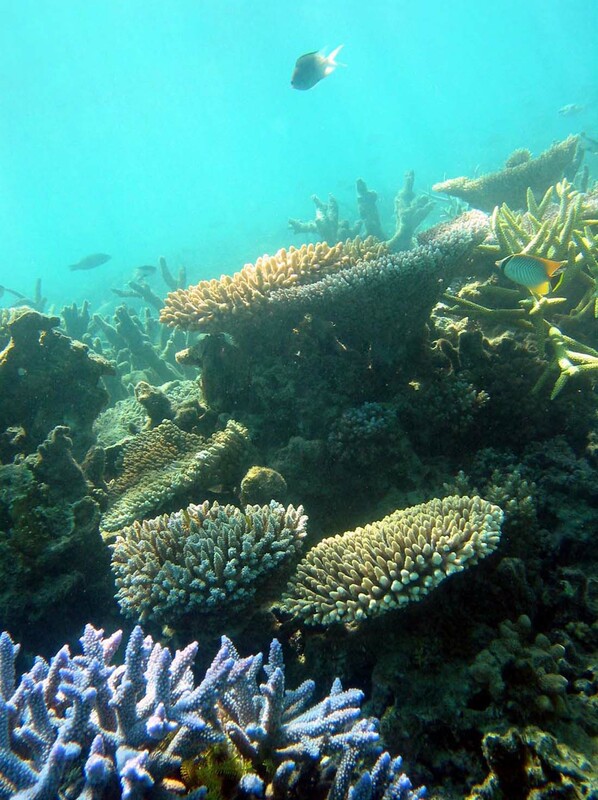 When coral reefs are stressed they release microorganisms and when they do this frequently they are less likely to recover and are more likely to be irreversibly damaged and thus could cease to exist. If the coral reefs were to become extinct it would affect the other species that rely on those reefs for food and protection and this could cause those species to also become extinct. According to the IPCC, around 20-30 percent of flora and fauna species evaluated during climate change studies are at risk of extinction. Climate change is not the only factor that is causing the extinction of species. For instance, the use of toxic pesticides is also causing species to be endangered or to become extinct. 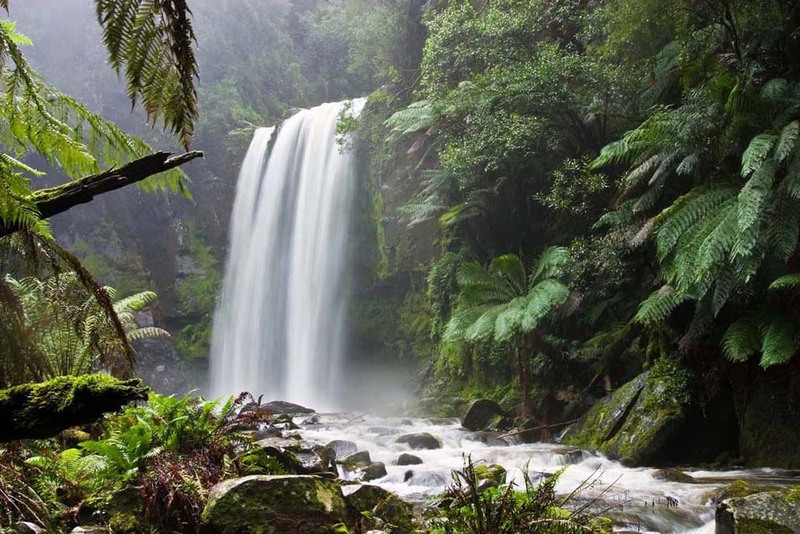 According to ExtinctionCrisis.org, many pesticides used are harmful to native fish and amphibian populations which can in turn cause birds to be killed from feeding on those poisoned species. The Center for Biological Diversity states that amphibians have the highest rate of endangerment and that “a third or more of all the roughly 6,300 known species of amphibians are at risk of extinction." Reptiles, birds, fish, invertebrates, mammals, and plants are all at risk of extinction not only from pesticides, but also from climatic changes that impact their ecosystems. Luckily, there are several ways to try to limit the mass extinction of species as well as the other effects of climate change. If everyone attempts to limit or reduce the amount of greenhouse gas emissions that are associated with climate change, it can help remedy the situation. Many individuals now bike or walk to work or for their daily activities in an effort to reduce their carbon footprint. Individuals and companies are also trying to find cleaner sources of energy as well as creating more efficient ways to use energy. We must do what we can so that future generations will live in a world with as much natural beauty and biodiversity as we do.